eSoftTools lotus notes address book converter Software is technically strong application which helps individuals have a simple and an easy access of IBM Lotus notes contacts into MS Outlook by migrating NSF files of lotus notes contacts to PST outlook of MS Outlook file. eSoftTools Lotus Notes Address book converter Software has interactive user-interface which help users to handle notes address book converter task smooth and quickly performs export lotus notes address book to outlook. Software allows to export lotus notes contact with all fields of contact like- First Name, Last Name, Email Address, Home/Business Address etc..
One Software Multi Conversion- Facilities to save NSF contacts to PST, CSV, HTML and VCF files. Easily convert bulk NSF contacts in single attempt. Export NSF into VCF- Export Lotus Notes contacts into vCard (.vcf) files and easily import converted vcf in email application which supports vCard(.vcf) format. Also import vcf files into iPhone, iPod, Mobile Phones. Export NSF Contact to CSV- A best option for exporting Notes Addres Book to Excel CSV file. Export NSF Contact to HTML To view on web based format, user can convert nsf contacts to html file. Supported by Lotus Notes 9.1 and its below versions. 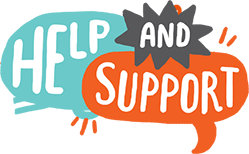 DEMO Facilities to export 15 items from every folder of lotus Note NSF contact to pst, csv, vcf, html and txt file at free of cost. Lotus notes address book to PST Software is one of the result provider program that securely convert lotus notes contacts to outlook. Use this lotus notes contacts converter to outlook PST Software which is safe and provides 100% risk free conversion, the graphical user interface is totally comprehensible for users and easy to install on all windows operating machine to convert lotus notes contacts to outlook file with complete contacts details. Lotus notes address book converter to PST Software is used for exporting contact details of NSF file into outlook PST file. During NSF address book conversion, the software preserve all fields of contact like first name, last, email address, home/business address etc and same migrate into Outlook PST file. 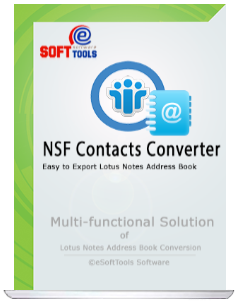 Not only convert lotus notes contacts to outlook but also convert NSF Contacts to CSV, HTML, VCF (vcard) with using this smart technology lotus notes address book converter to PST Software which never harm internal data of NSF files with maintains contacts integrity. Software safely convert lotus notes contacts to outlook file with accurate contact attachments, the software also maintains meta-information of the contacts while performing exporting contacts from lotus notes NSF files to outlook address book within seconds. Our software supports largest NSF file scanning and support conversion. Before going actual NSF address book conversion, user can see the live preview of each NSF contact within software for assure how software recovers Names.nsf file and contacts details. Selective contacts conversion is the best feature because here most of the users who doesn’t want complete items conversion so they can make selection of folders one by one that require to migrate lotus notes address book to outlook PST, CSV, HTML and VCF with attachments items also. Demo Limitation - The Demo Version demonstrate you complete preview of NSF Contacts and facilitates to export 25 items from Notes NSF Address Book to PST, CSV, VCF and HTML file. Is it possible to convert multiple contacts of NSF Files to PST Outlook using the software? Yes, the software offers to convert multiple contacts from NSF files to outlook pst, vcf, csv and html file. Can I convert selective folders from lotus notes to vCard or CSV format? Yes, the software allows users to convert selective folders of lotus notes to vCard or CSV format. Will software restores complete details of NSF Contacts to outlook files? Yes, the software can restore the complete details from NSF files to outlook files. Can I create separate PST File for conversion lotus notes Contacts? Yes, the software gives capability to create single and separate PST file for doing conversion of lotus notes contacts. Is there any size limitation to convert lotus notes Contacts to outlook file? No, there no size limitation has been provided, export any size of NSF files to outlook file. MS Outlook should be installed and configured with at least 1 pop/dummy profile.